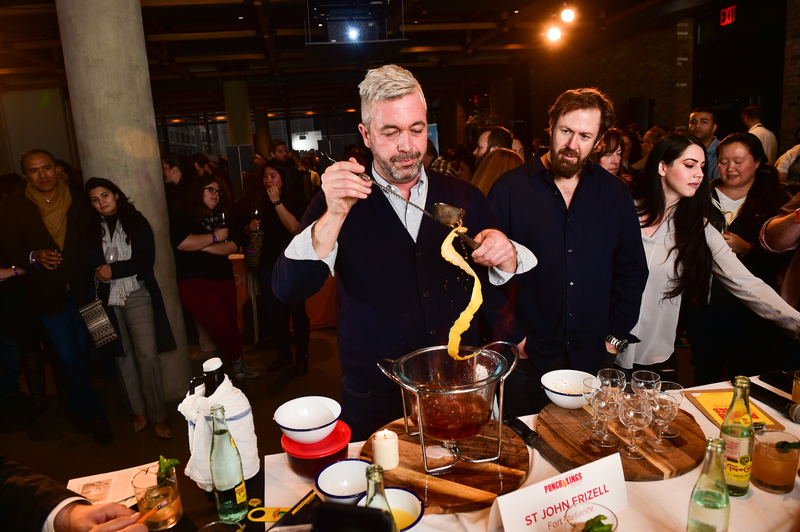 Last weekend we enjoyed an epic Sunday afternoon at the first event of the Cochon555 2018 tour, which kicked of here in New York City. The event celebrates heritage-bred pork raised on family farms, and nearly 500 guests feasted on over 1,500 pounds of delicious pork. The event also raised $3,800 for Piggy Bank, a start-up pig farming sanctuary in Missouri that serves as a kickstarter for new family farms and a safety net for those in the wake of a disaster (flood, fire and disease), and provides free genetics and business plans to emerging family farms. Piggy Bank aims to change the future of food by creating a community in which small farmers can learn about safer, more responsible practices and how to thrive as a small businesses. 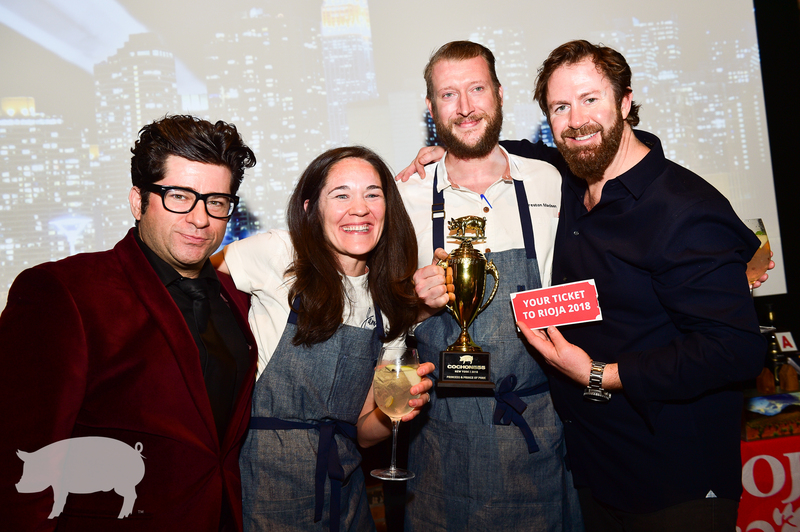 5 renowned New York City chefs from our favorite restaurants competed to be crowned the Prince or Princess of Pork. The chefs included Bryan Hunt of Temple Court, Marc Murphy of Benchmarc Restaurants, Fabian Gallardo of La Esquina, Matt Abdoo of Pig Beach, and Ginger Pierce and Preston Madson of Jams by Jonathan Waxman, and together they created over 36 different dishes. The evening also featured a butchering competition! 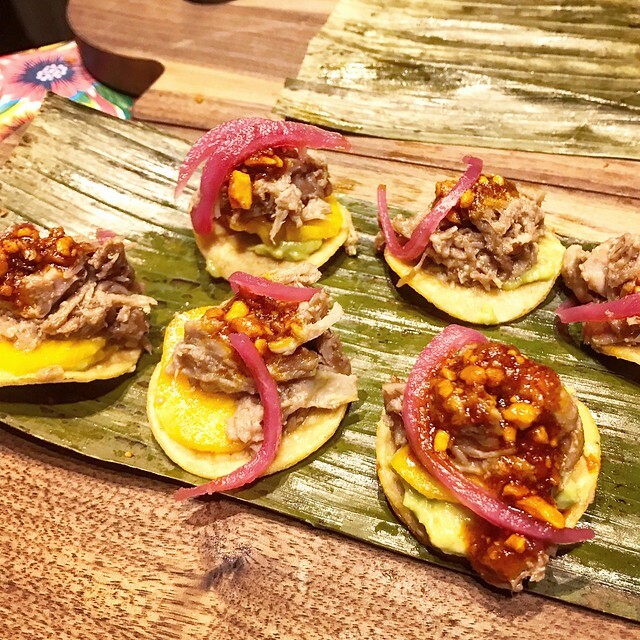 Before the competition, we had the honor of interviewing Chef Fabian Gallardo, head chef of famed La Esquina, to get his thoughts on Cochon555 and the restaurant industry. 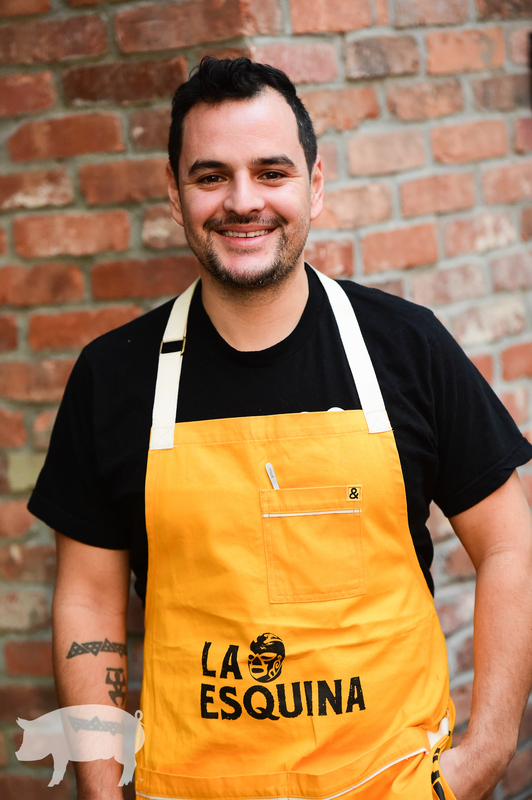 Chef Fabian was born in Mexico and gained his culinary experience in the top restaurants in NYC, including L’Ecole, Café Boulud, and Vice Versa, before heading to California. From his heritage created one of the most well-known taco spots in LA, Petty Cash Taqueria, and has since moved back to New York to showcase his craft. Yvonne Lee, Socially Superlative: Hi, Chef Fabian! 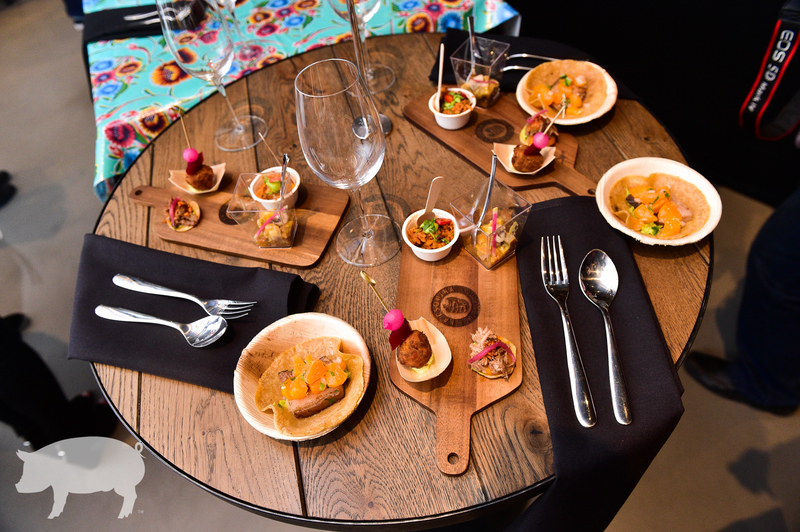 Can you tell us how you got involved with Cochon555? Chef Fabian: When I was living in LA I was constantly attending events of this nature, and one year a good friend was one of the chefs chosen: Walter Manzke, I went to see him in action and I really loved the event. Years later I’m one of the chefs participating! YL: Are you a fierce competitor? CF: Let’s just say I’m always up for a new challenge! YL: What are you most looking forward to about Cochon555? CF: THE FOOD! THE DRINKS! Meeting and working with amazing new people. YL: How has your cooking style evolved over time? CF: I always try to stay ahead of the curve, learn new techniques whilst still appreciating what chefs have done before me. Of course always respecting the food. 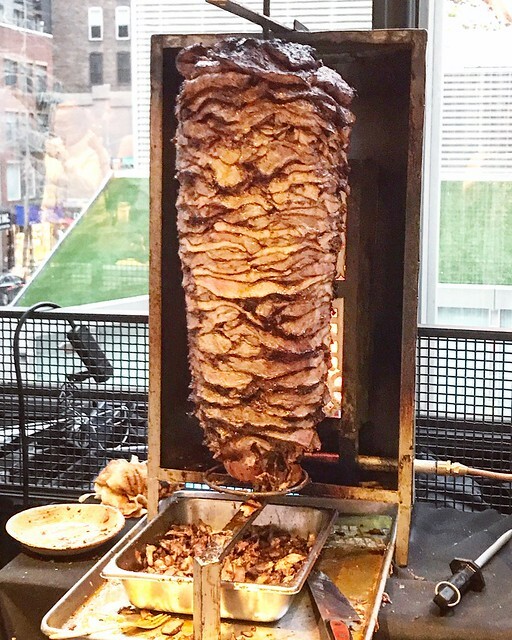 YL: What are a few of your favorite restaurants in NYC right now? CF: Hanoi House, Chef’s Club – and of course, the one and only La Esquina. YL: In your opinion, what are some of the main differences between the LA and NYC dining scene? CF: The LA chef scene is more community driven; chefs from all over the city come together to not only teach each other, but to create organic partnerships. NYC is an animal of its own: here you have the creative license to do whatever you want, however you want. A city so international like this one brings in cuisine from all kinds of cultures and localities. It is where fusion of any kind becomes a dish. What piece of advice would you give to someone who is culinary school or aspires to be a chef? CF: Work hard and take every opportunity you get, even if you are starting from the very bottom. 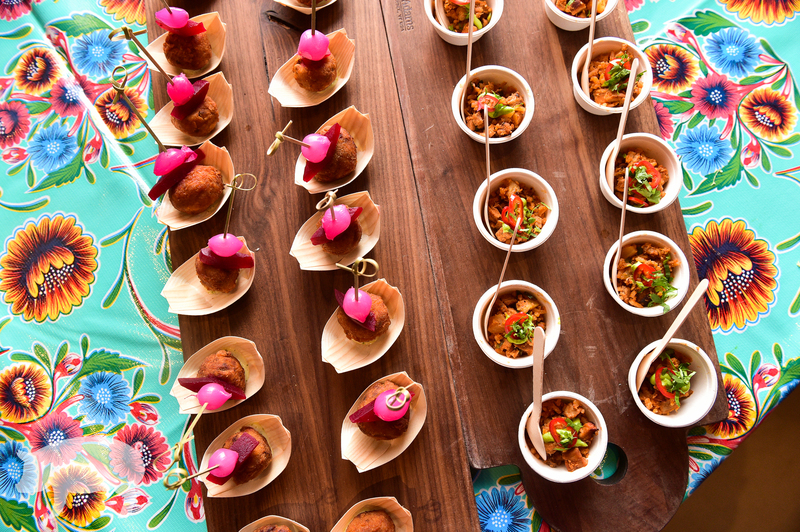 Some of our favorite dishes included Chef Fabian’s tacos and the mini serving of delicious paella. 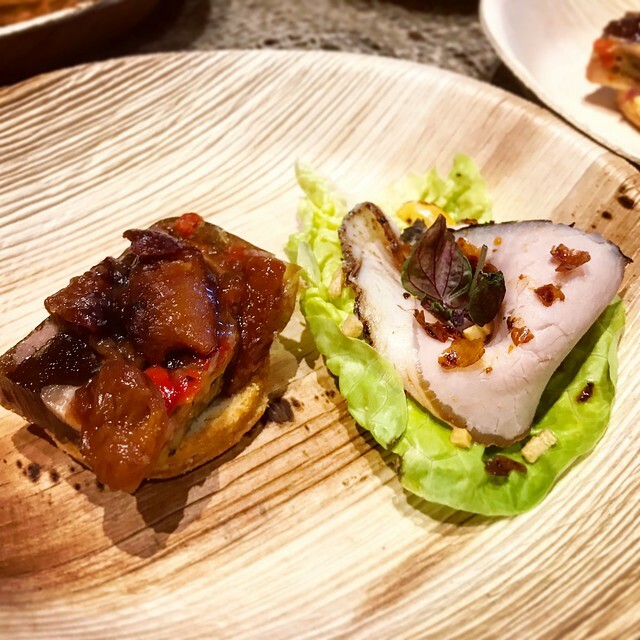 I loved the pork wrapped in crunchy lettuce for different textures from Ginger Pierce and Preston Madson of Jams by Jonathan Waxman. Matt Abdoo of Pig Beach served up deliciously juicy meatballs as well as cheesy, pork-filled lasagna. We loved them all! 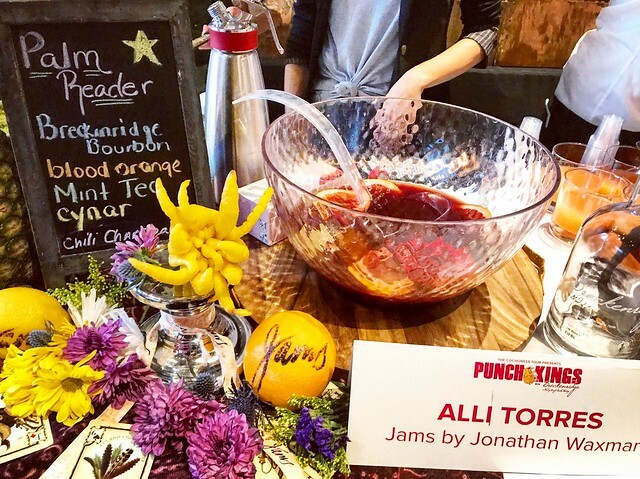 In addition to all of the amazing food stemming from the competing chefs, there was also a Punch King competition, where expert bartenders mixed their best concoctions. The delicious cocktails were made by Alli Torres of Jams by Jonathan Waxman, Bryan Santos of La Esquina, Jane Danger of Mother of Pearl, St John Frizell of Fort Defiance, and Tom Walker of Pig Bleecker. In the end, the winners of the competition were Ginger Pierce and Preston Madson from Jams by Jonathan Waxman, who’s winning menu included six dishes: Charcoal Roasted Chilled Loin, Pimento “Head Cheese”, Pigs Blood Tortilla Chip “Nachos”, Mulefoot Cracklings, Fried Bologna Sandwich and the Bourbon Maple Bacon Push Pop to end on a sweet note. The winner of Punch Kings went to Tom Walker of Pig Bleecker with his “Confederate Punch”, combining mint-infused Breckenridge Bourbon, lime, sugar, absinthe, cucumber, sparkling water and bitters. Congratulations to the winners! 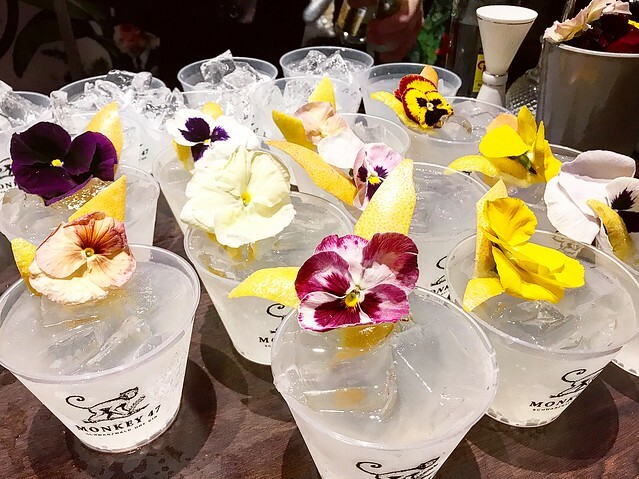 I also had the great honor to interview the founder of Cochon555, Brady Lowe, and gained insight to how he started the events and how they have evolved over the years. Yvonne Lee, Socially Superlative: What inspired you to start Cochon555 when it launched in 2008? Brady Lowe: I started Cochon555 when I noticed there was no active promotion for the eating of heritage breed pigs. I met amazing farmers who raised these animals and they had no idea how to meet chefs. Farmer Markets were just starting, the good food movement was not developed, so we needed an event to showcase these great food champions. 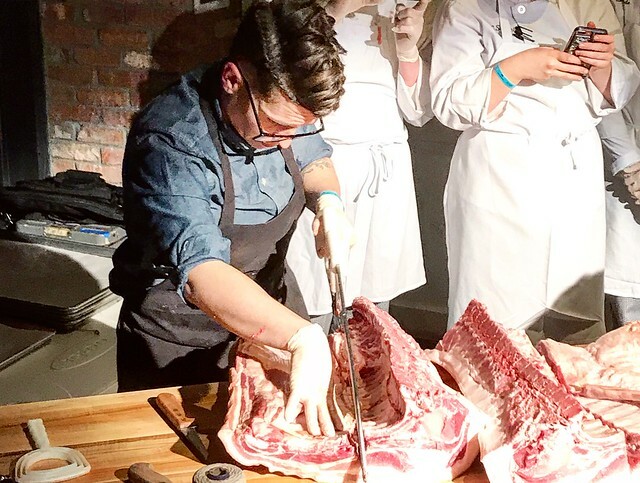 I had an idea to host an event where five chefs each compete with one whole pig from a different farm, then I noticed there were different breeds, just like different grape varietals, very specific to the grower and region. 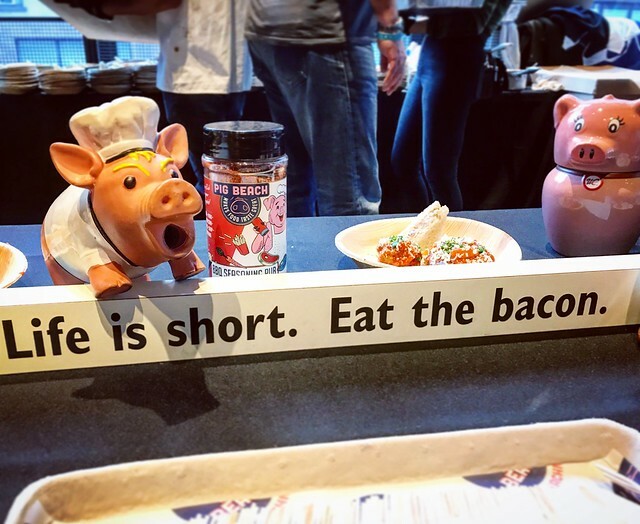 YL: How has Cochon555 evolved over the last 10 years? We also added two more educational competitions that line up with our mission: Punch Kings and Somm Smackdown. Punch Kings is a competition between barkeeps to create the best punch bowl. 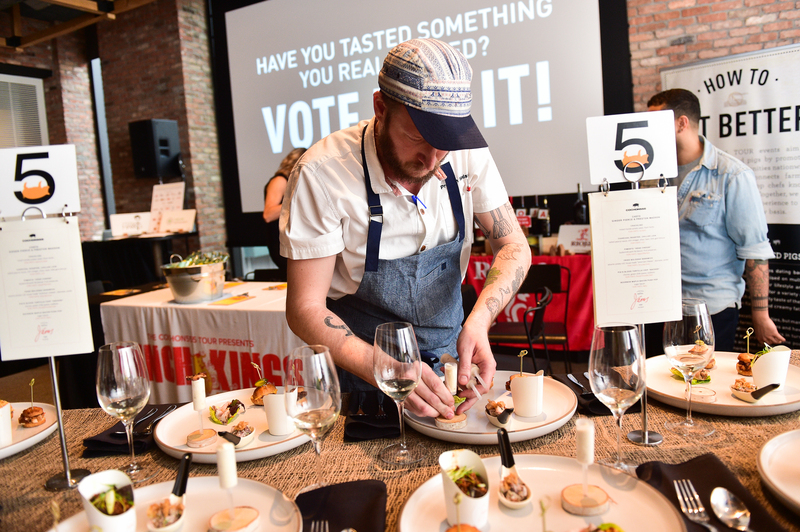 Somm Smackdown invites sommeliers to compete for the best food and wine pairing of the day. It’s been a great way to educate the palate and it’s a lot of fun. YL: If you had one key piece of advice to pass on from your 10 years hosting Cochon555, what would that be? BL: We’ve been really fortunate to work with amazing people who have amazing stories and work incredibly hard, so my advice would be to surround yourself with good people because life is too short. YL: Is there anything new and exciting we can expect at this year’s Grand Cochon Finale in September? BL: As our ten year anniversary, we are going to be pulling out some pretty serious firepower because you only turn ten once. It’s a great location and we’re pumped to see our friends and family in the Midwest. Chicago is a super accessible city and we expect a lot of people to travel in as well. It’s going to be epic. We’re also getting pumped to debut Global Cochon in Mexico City this October, so it’s going to be a very exciting year. YL: In your opinion with traveling across the country, what is the next “up and coming” foodie city? Are there any new, emerging trends that you are seeing in the food/restaurant scene right now? BL: The trends I’ve seen are more age-old recipes. Classic techniques. Chefs are paying homage to sources and origins of ideas, and taking a more authentic, thoughtful and educational in their approach to the guest experience. As far as a specific city, there are really cool things happening across the country. I wouldn’t put any city above another, but it’s cool it see regional takes on the same dish. YL: Think quick! What dish are you craving right at this very moment? And if you had a drink or cocktail to go with that dish, what would that be? BL: A ripe peach and tiramisu with an old fashioned. A big thanks to both Chef Fabian and Brady Lowe for answering our questions, and thank you for all of the excellent chefs, bartenders, sommeliers, and foodies who help to put on another successful Cochon555 event! 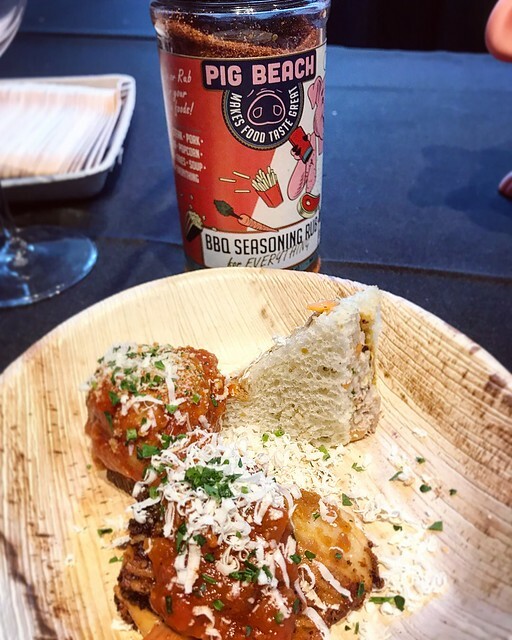 The Cochon555 US Tour executes a yearly host of authentic, hyper-local food events focused on raising awareness for heritage breed pigs through the world’s first nose-to-tail pig cooking competition for the past ten years. This epic pork feast visits 20 major cities in North America annually and stages over 60 events. The tour is comprised of an array of live expressions including Heritage Fire (live-fire cooking in mountainside and vineyard settings) and Heritage BBQ (global grilling traditions). All Cochon555 events cultivate a long-term impact for heritage species raised by family farms, in top culinary markets in North America. Both educational and inspirational messages are circulated among 16,000 guests; 2,200+ chefs; 150+ family farms; and 16 culinary schools. Since 2009, 50,000+ consumers have experienced heritage pork, more than $500,000 has been donated to charities, and over $750,000 has been paid directly to our farmers. For more details and videos of events, visit www.cochon555.com or follow @cochon555 on Twitter and Instagram. Launched in 2015 by Brady Lowe – founder of the Cochon555 US Tour and Taste Network – Piggy Bank is a pig farming sanctuary. Harboring a Noah’s Ark-worthy selection of heritage breeds, it provides free genetics and business plans to emerging family farms. Piggy Bank aims to change the future of food by creating a community in which small farmers can learn about safer, more responsible practices and benefit from the sharing of genetics, livestock, and the very information needed to not just survive, but to thrive as small businesses. The Piggy Bank farm, located in Missouri, raises pigs to be gifted to communities dedicated to elevating the cause and expanding through a model of social and agricultural transparency. Piggy Bank is a nonprofit corporation with federal tax exempt status as a public charity under Section 501(c)(3). Follow the Piggy Bank conversation on Twitter @PiggyBankOrg. For more information, watch the video http://j.mp/PIGGY_BANK or visit www.piggy-bank.org.